The South Indian rasam sputters and fumes as it simmers along with tomatoes, curry leaves, pepper, garlic, cumin and red chillies. 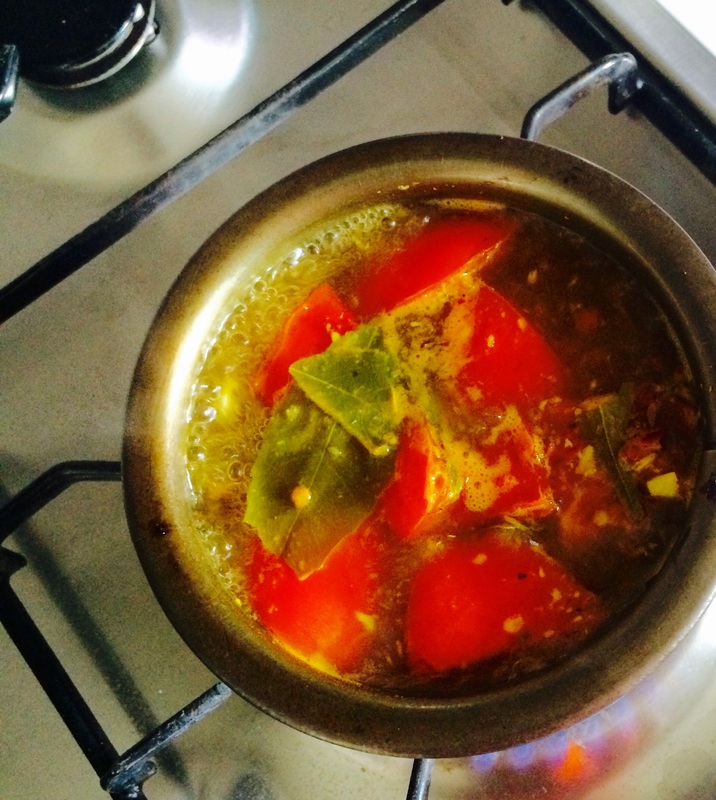 Usually had with rice, the eternally popular rasam can be a perfect remedy for the common cold. 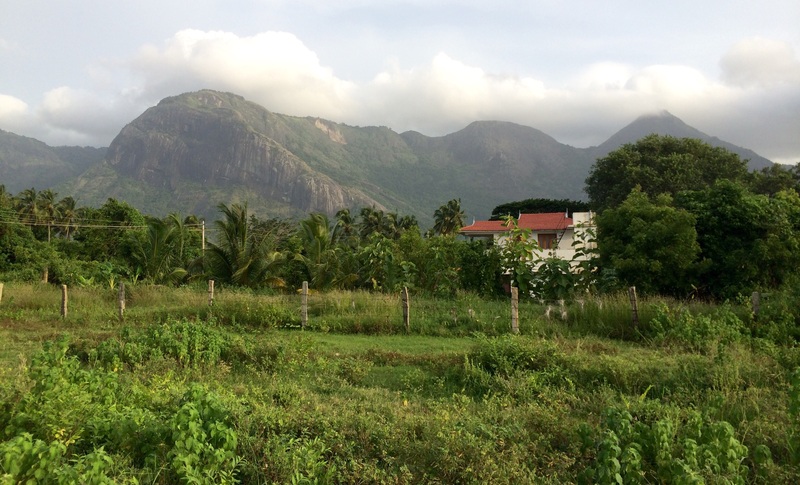 Annamalai range of the Western Ghats overlooks the sleepy town of Payyalur in Kerala, South India. 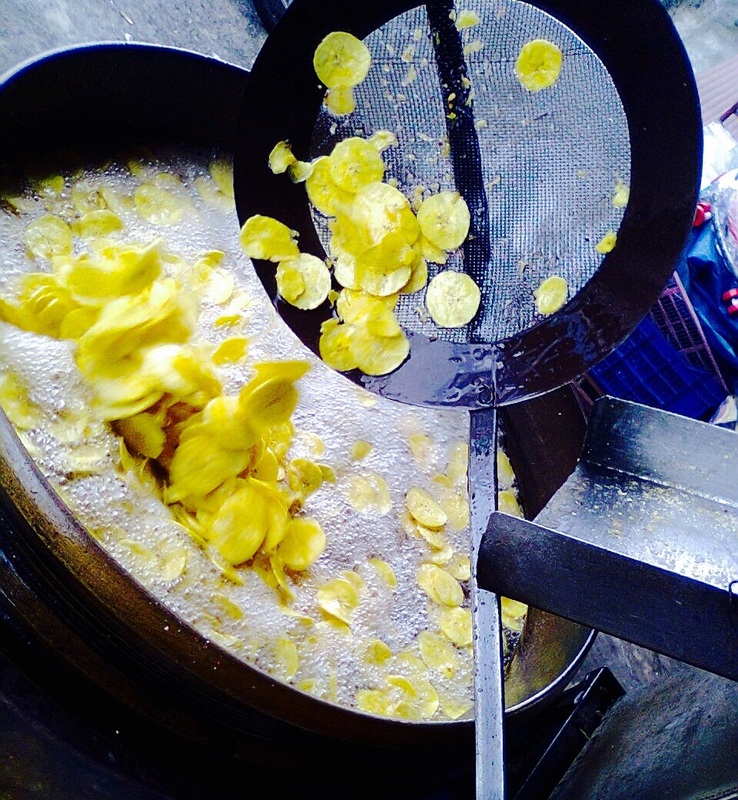 Thin slices of raw banana fry themselves in boiling coconut oil before being salted and consumed by hot chips fans in and around Kerala, and all over India. Served with tea usually, the delicious kaaya varuthuthu — as it’s called in Malayalam — is also served with grand meals on banana leaves at wedding feasts. 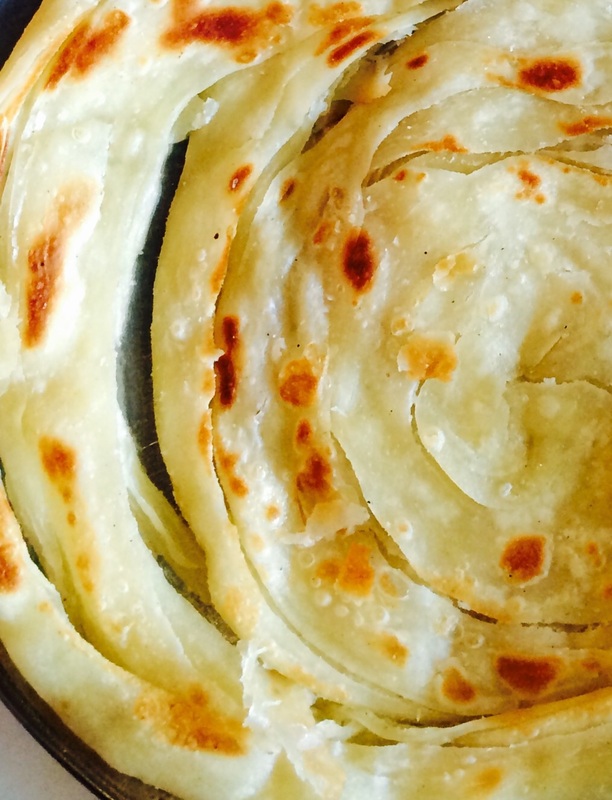 Crisp, crumbly, flaky round bread of flour. Kerala Parata or Porotta, Mango Tree, Singapore. 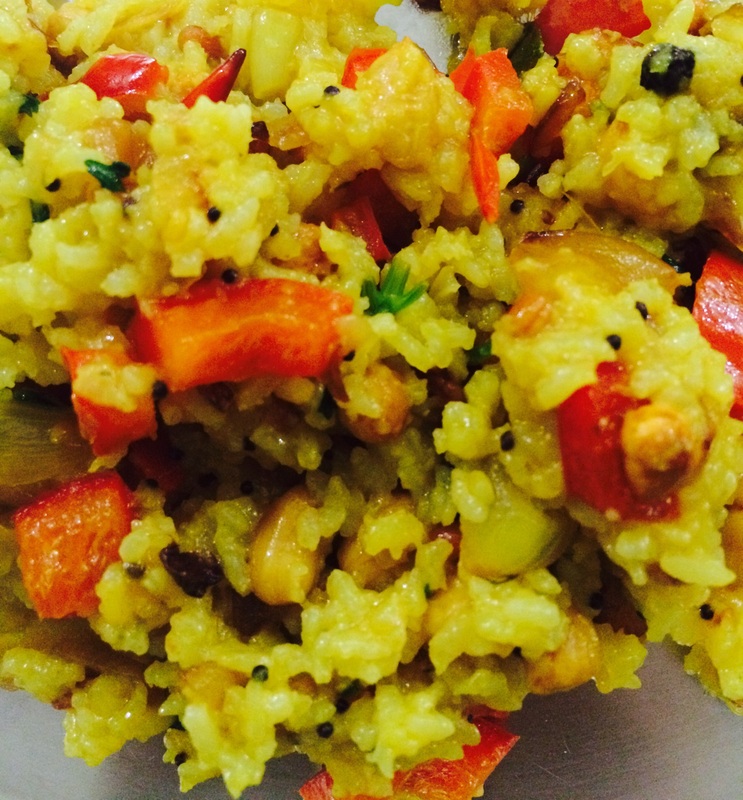 Rice mixed with fried capsicum, onions, coriander leaves, ginger, chillies, peanuts and the juice of fresh lemons. 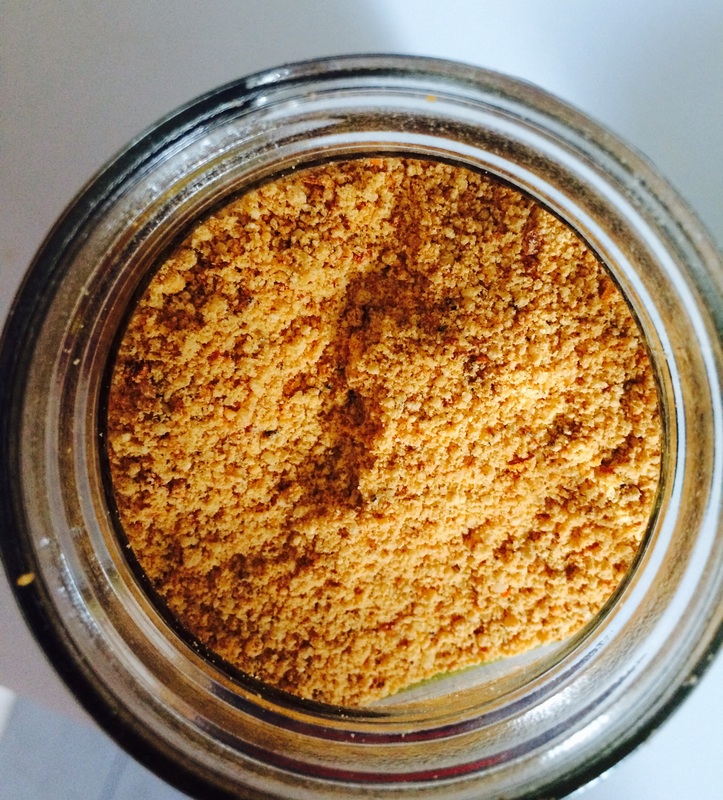 Softened with oil, this fabulous rice powder from South India has roasted grains, red chillies, lentils, pepper and much more. Spicy and coarse, it sits well with those who need that extra zing of spice to get through their daily meals.